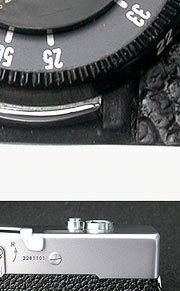 This is the custom leather kit for replace Rollei 35 (original) covering. 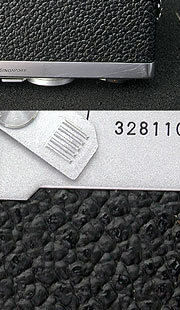 This kit is not the genuine parts supplied from Rollei..
You could see the supersized photo here. 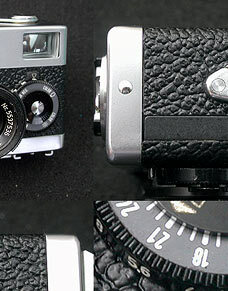 Comparison with the Original Leatherette. 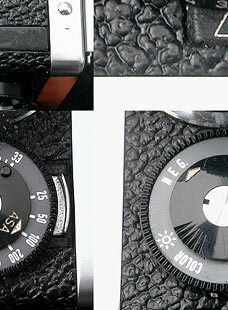 Left is Rollei 35's Original Leatherette, Right is Pebble emboss (this leatherette). These two are not the same but not so far. Click here to see bigger size photo of the Original leatherette. 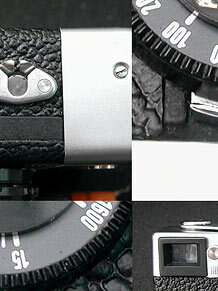 4040 Screwmount Leica Emboss (Composite Leather) : Click Here for the sample photo. 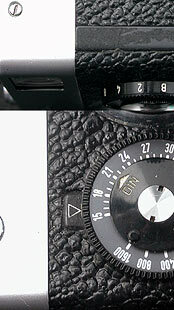 This kit fits to Rollei 35 (Original). 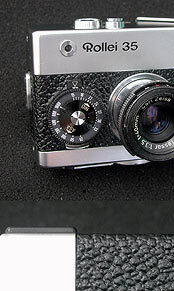 Does Not fit to the other Rollei 35 models. 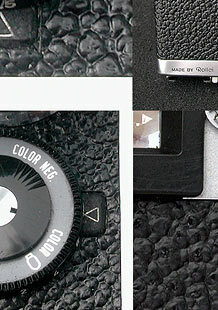 I think this kit must fit to Rollei 35T, but I have not got enough data yet.